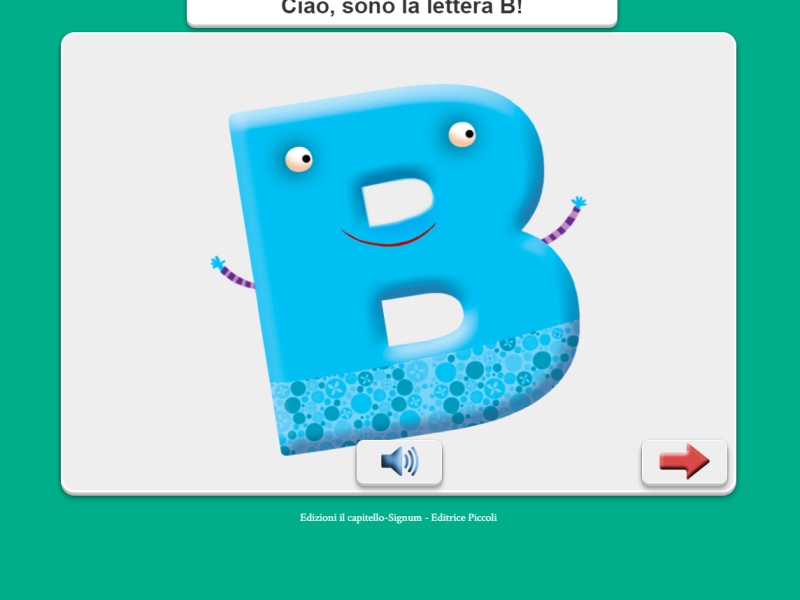 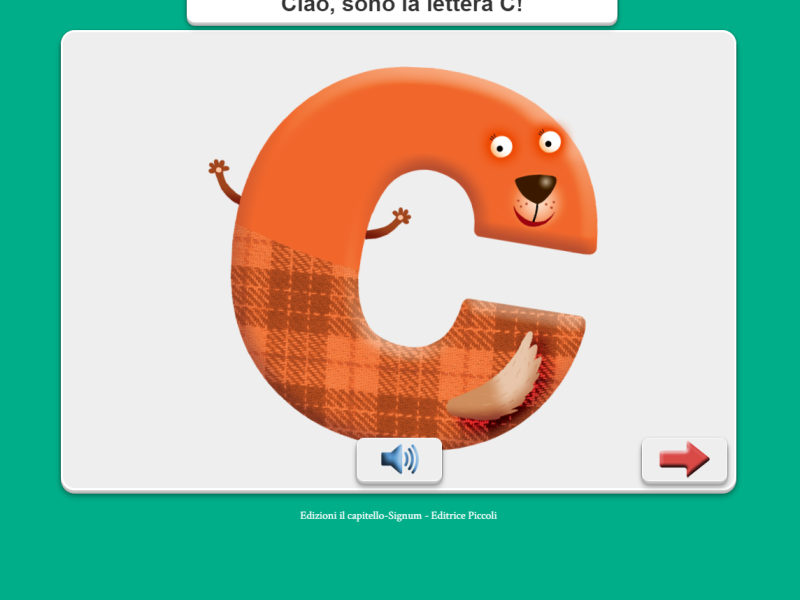 The Alfabetiere (“Spelling Book“) is a digital animation to learn the letters of the Italian alphabet in a funny and interactive way. 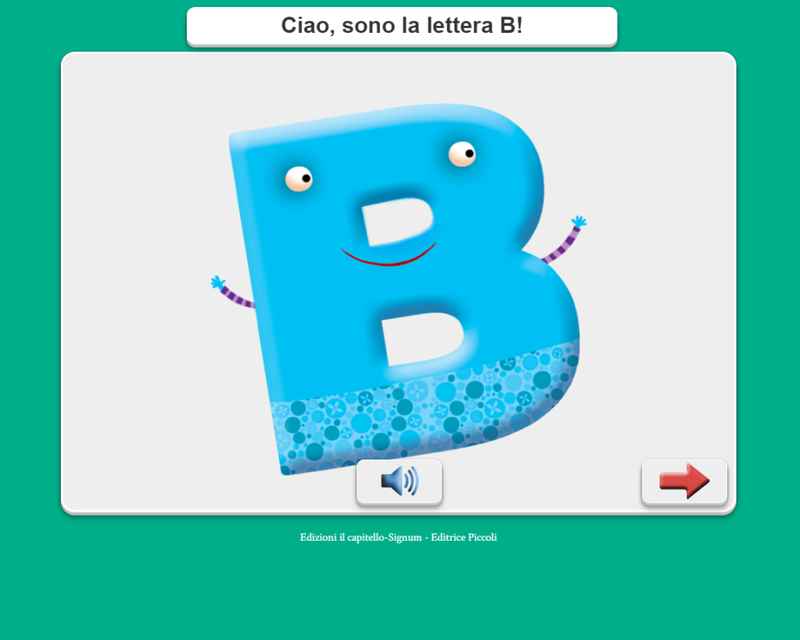 Each letter is matched to a slideshow including images and audio clips linked to educational games. 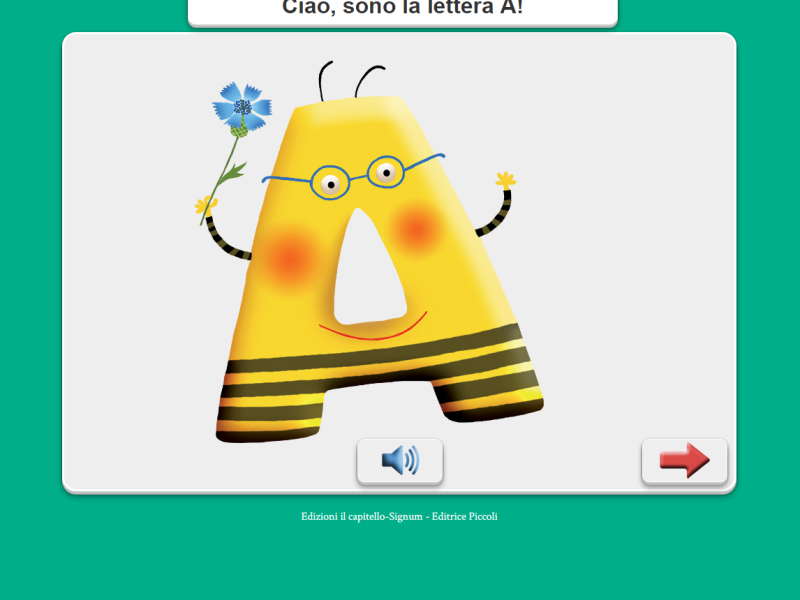 The Alfabetiere has been included in the digital educational tools for the elementary school.